VMABC sponsors a scholarship for Bexar County students at the TAMU College of Veterinary Medicine. If you would like to donate to this scholarship, please click the Donate button. Serving Bexar County and South Texas since 1939. The Veterinary Medical Association of Bexar County came into formal existence in 1939 as a means of sharing information and to act on policy matters, public relations activities and to see and hear educational presentations on developement in the medical field. From an original membership of 12 people, VMABC has grown to over 300 members. Our membership includes veterinarians involved in private practice, research, military and teaching positions. 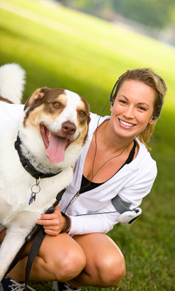 We work with the San Antonio Metropolitan Health District, City of San Antonio Animal Care Services, and other animal associated groups and organizations to address local animal issues. to supply an avenue of exchange and cooperation among its members. This website is a way for pet owners to stay informed about local issuing concerning animal health and welfare.